It's hard not to get carried away when it comes to kids parties. Our minds can wander and Pinterest boards fill up with ideas for the perfect party for our littles ones. However this can lead to months of stress and many pennies spent to make this vision a reality. 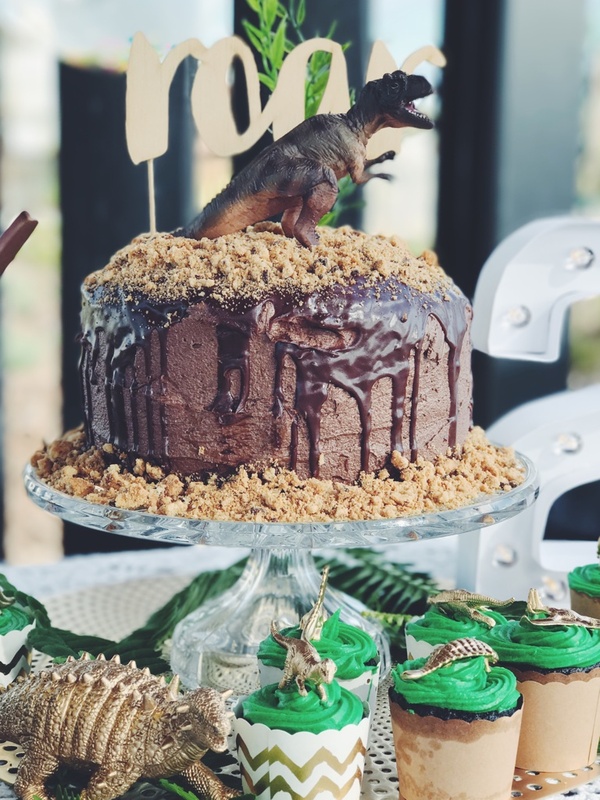 Below I have shared my tips for a cheap kids party which can take a day to pull together, not months. I literally sent out a text message invitation (shameful for an invitation designer I know) 10 days before the event. Location....a new park with amazing playground, done. Theme? Well Dinosaurs of course. What 2 year old boy doesn't love dinosaurs? I did a quick search on Pinterest and found a link to a cake I thought looked good, I showed Knox and he was stoked. Cake, done! 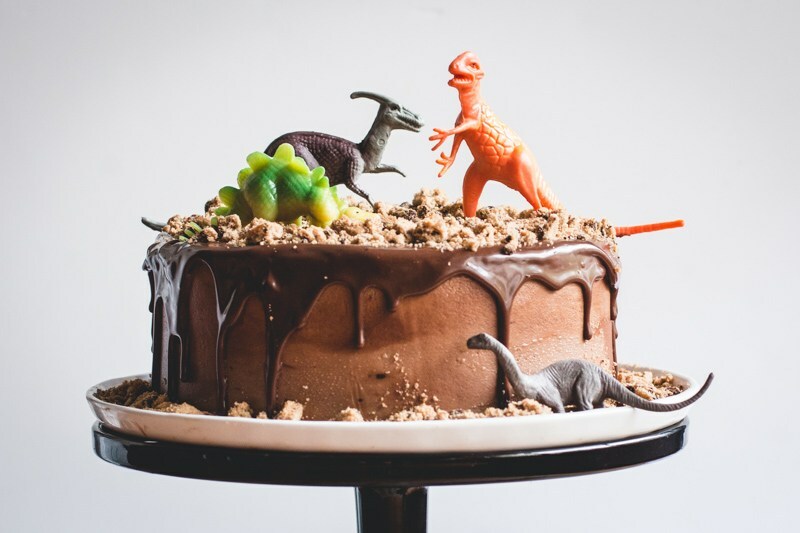 Here you will find the recipe to the coolest (& easiest) dinosaur cake EVER. Don't mind the big finger smudge in mine (thanks Knox). I used a hand lettering 'roar' plywood topper on the cake, which can be purchased in the SHOP. 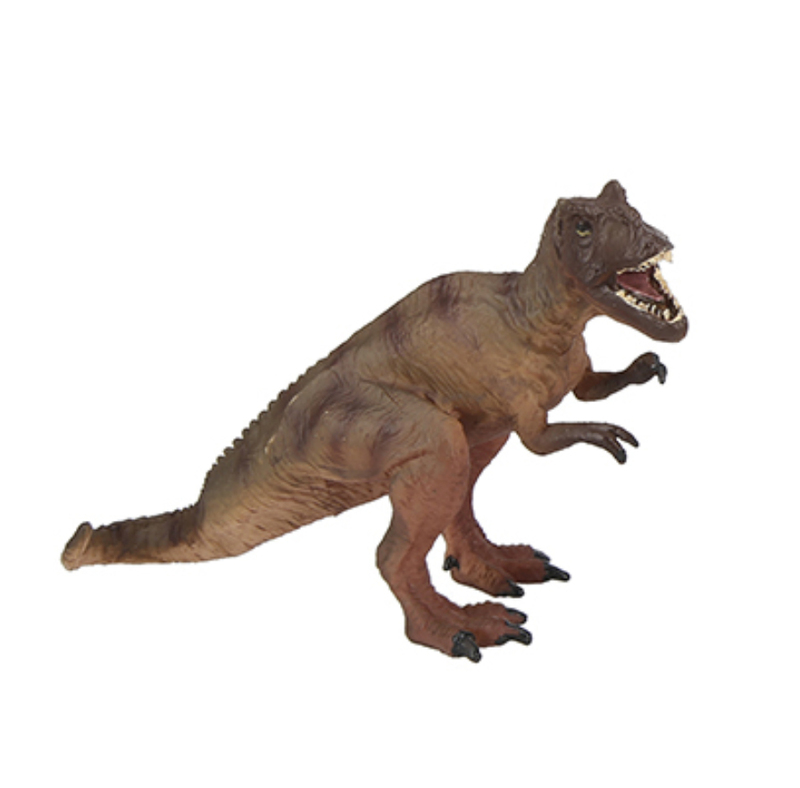 This $5 dinosaur figurine from Kmart finished the look. Available in a 3 piece set and also sold individually. Next it was time to start thinking about decorations. 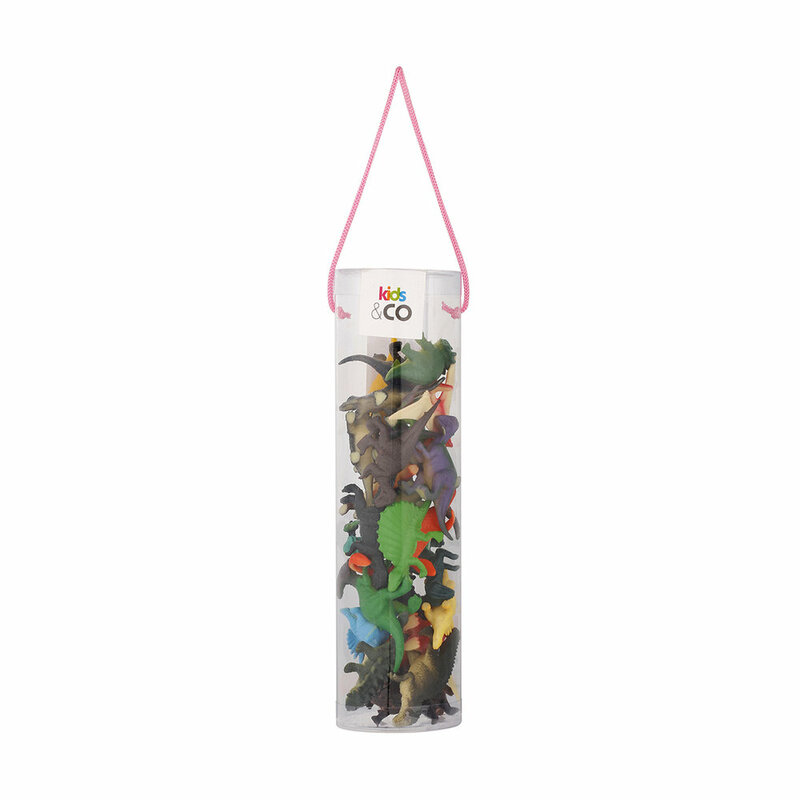 I thought some simple greenery, gold dinosaurs and clear confetti balloons would be perfect. I ran out of time to organise the balloons (working mum life). I was lucky to find some at our local Dollars & Sense store, where I also bought some gold spray paint to spray the dinosaurs. For the tablecloth I used our favourite white crochet throw, which I have used for every special event in our lives since I bought it 4 years ago. 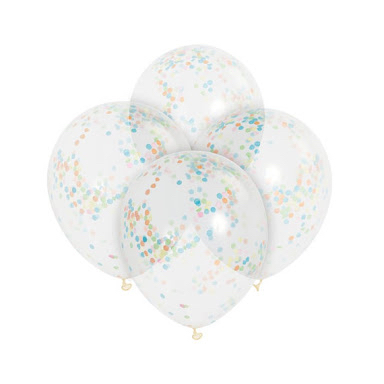 A packet of 6 clear balloons including colourful confetti were only $3.50 from a Dollars & Sense store. Using gold spray paint from Dollars & Cents, I laid the dinosaurs down and sprayed both sides. Leave out overnight to dry. This gold placemat was only $1.50 from Kmart and I used under the cake stand and lolly jars. Bargain! This battery powered '2' stand up light is $6.00 from Kmart. 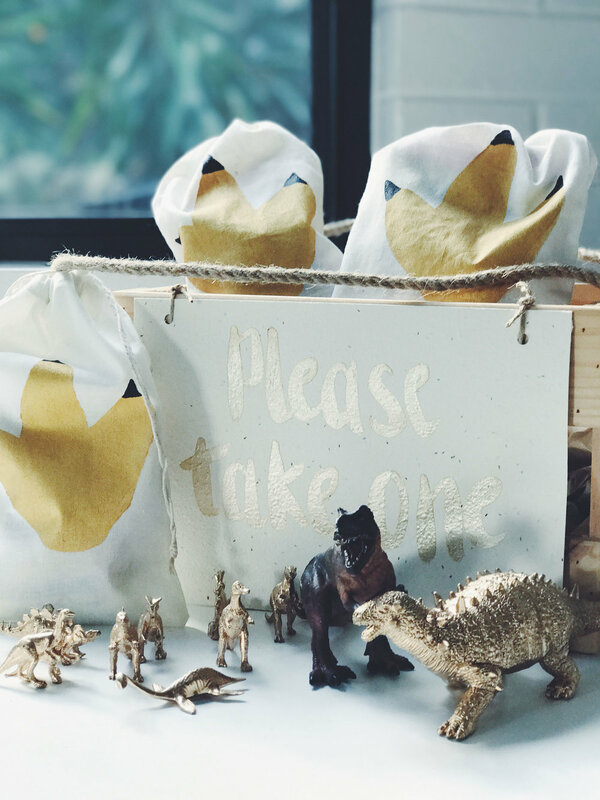 I thought it would be fun to continue the dinosaur theme into some DIY party bags. Step-by-step instructions below on how to make them, where to get the materials and costs. Firstly, grab yourself a packet of 5 cotton muslin drawstring bags from Kmart for $3.00. I only had to make 10 bags. Cutting mat, stanley knife, gold fabric paint, small paint roller, black paint, medium tipped paint brush & a thick piece of paper/ card. (Most of these items are available from a Dollars & Sense store or any art store). Draw an outline of a dinosaur footprint on the card using a pencil. You either can freehand or google an outline to trace. Using the stanley knife, cut out the dinosaur footprint. Don't worry too much if you aren't neat with cutting. Next, place a cotton muslin bag under the dinosaur footprint template. Using the roller (and a little pressure) apply the gold paint over the entire template. Remove the bag and set aside to dry. Repeat step on remaining bags. Using the black paint and medium tipped brush, add the dinosaurs toe nails, staying within the gold paint outline. Set your bags aside to dry, I left them overnight. And then stuff full of goodies!